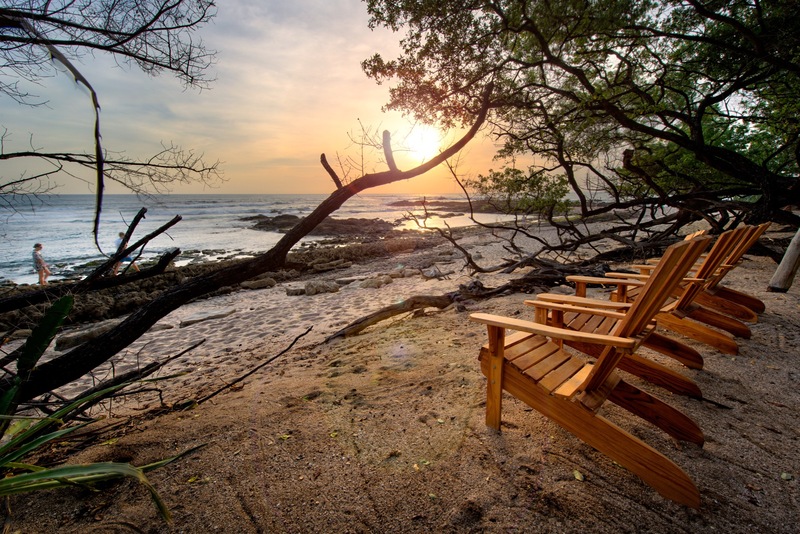 Our beach might seem odd at first – but it is amazing, highly dynamic and one of the best beaches in Costa Rica. And an unforgettable national park. We face directly west, with perfect sunsets every night (weather permitting). 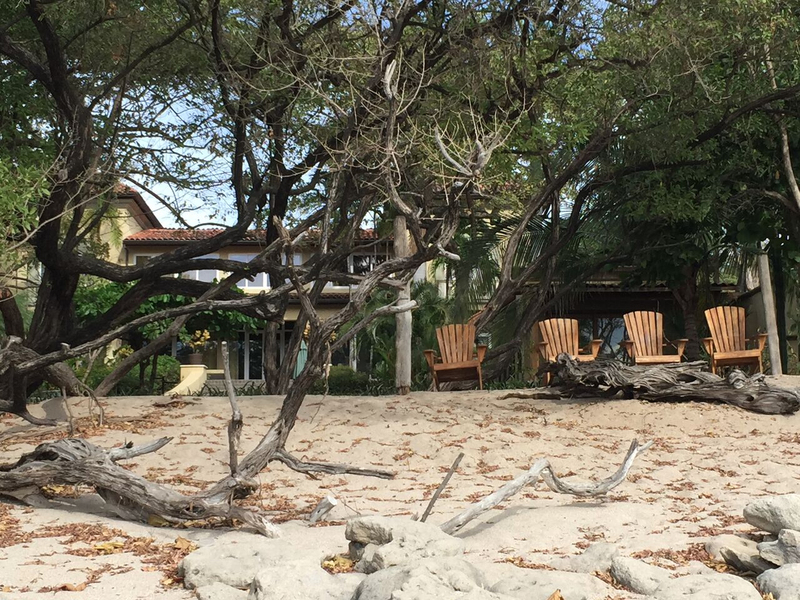 Our beachfront is intimate, quiet, and secluded, because there is no public parking nearby, and the crowds go downtown, 5 minutes north. 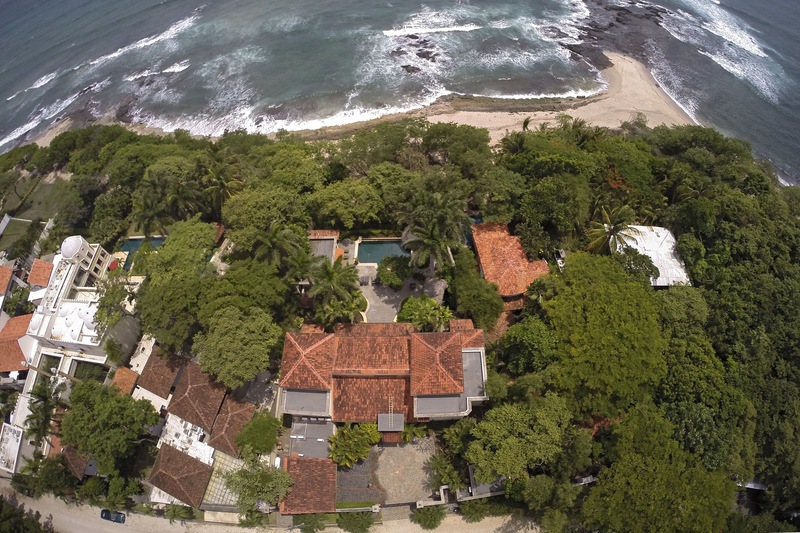 Our immediate frontage is a volcanic rock formation, protecting our sand and jungle clearing behind it. At many tides there is sand beachfront 100 meters to the north at the point. The shore frontage changes with the tides here. 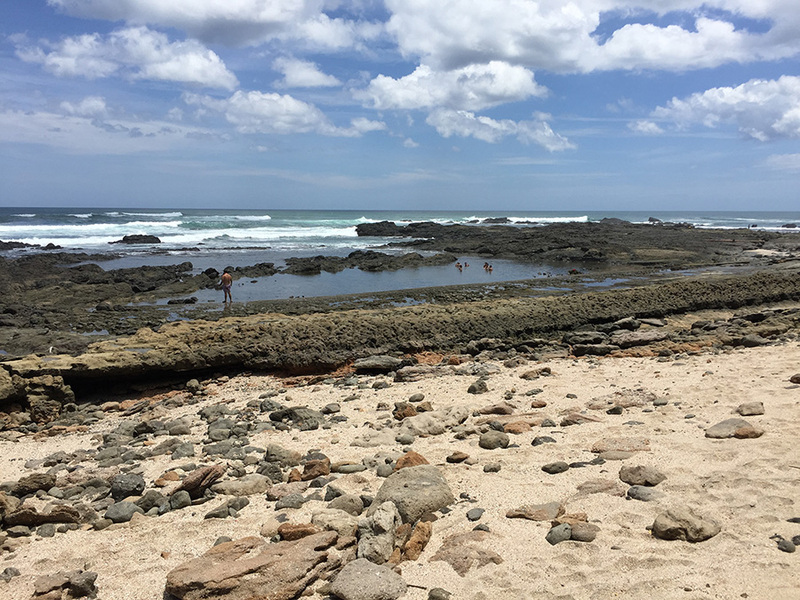 At lower tides, we have a half-acre tide pool 20 meters to the north that’s perfect for swimming. And shimmering at sunset. If you look carefully, you can often pluck lobsters from the smaller tide pools in the morning – Langosta Beach means Lobster Beach, yes? 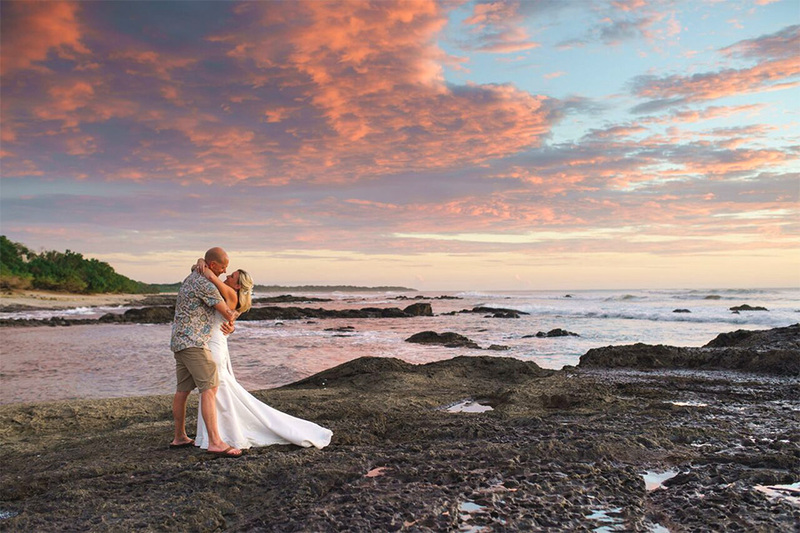 One of the most popular wedding locations in the country is the point 100 meters to the north – an ideal spot for sunset newlywed photos after a wedding ceremony at Casa de Luz. 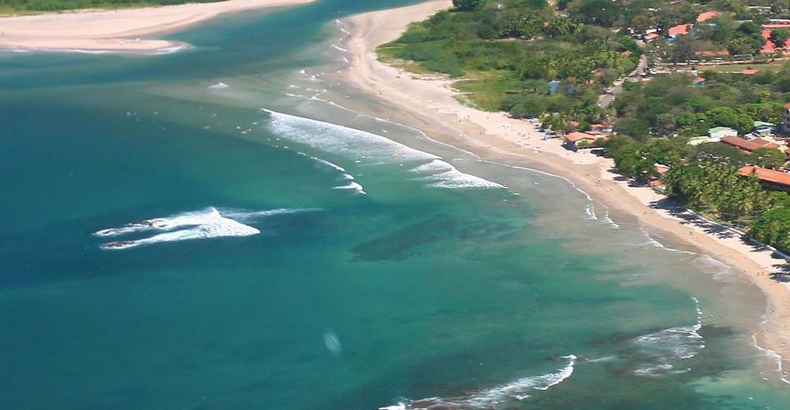 A short walk north is Playa Tamarindo’s main beach, world-famous for surf schools. A short walk south is Langosta Point, world-famous for professional surfing competitions. It is reportedly on the surfer version of Monopoly. 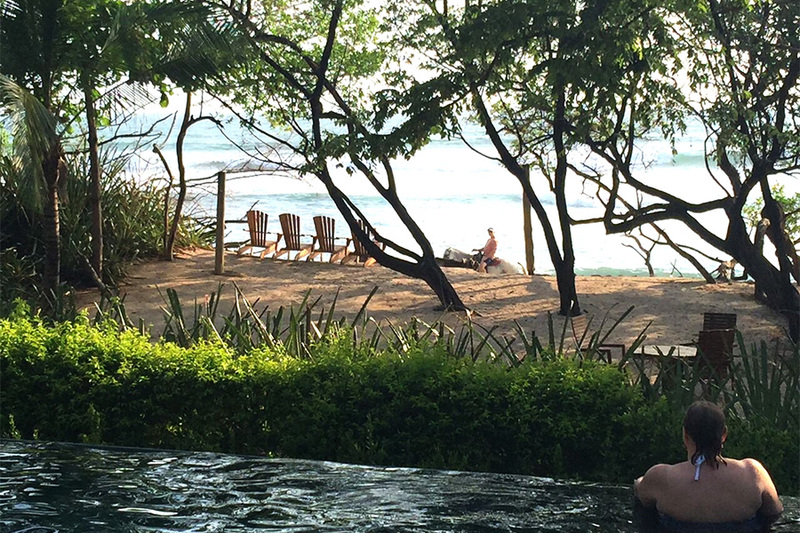 Some of the most unforgettable locations to watch beach sunsets in your life can include: our infinity pool. Our beach chairs. Our hammocks right behind the chairs. The rocks on the point. Our spa. Our outdoor living rooms. And, nearly anywhere inside the mansion or pool casita. 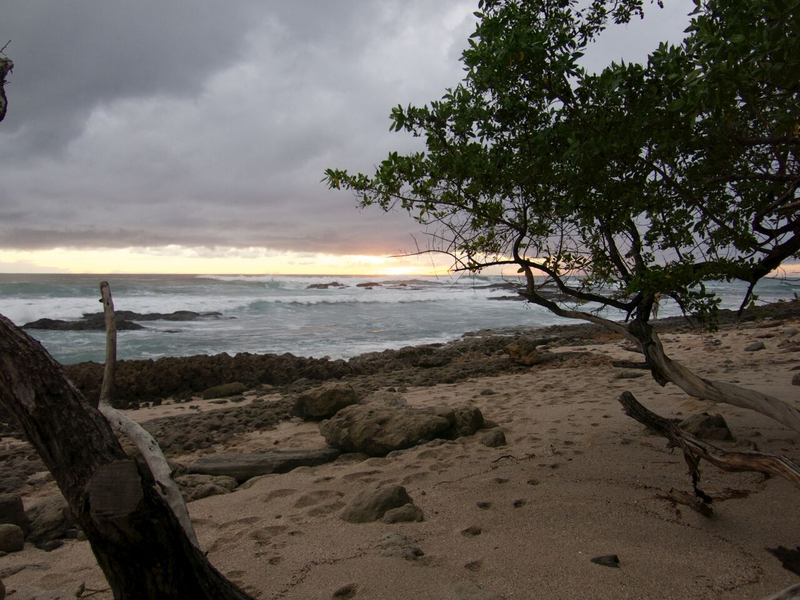 Sunsets of a lifetime are how Casa de Luz earned its name “House of Light” – and you can read guest reviews about them at Tripadvisor or VRBO. 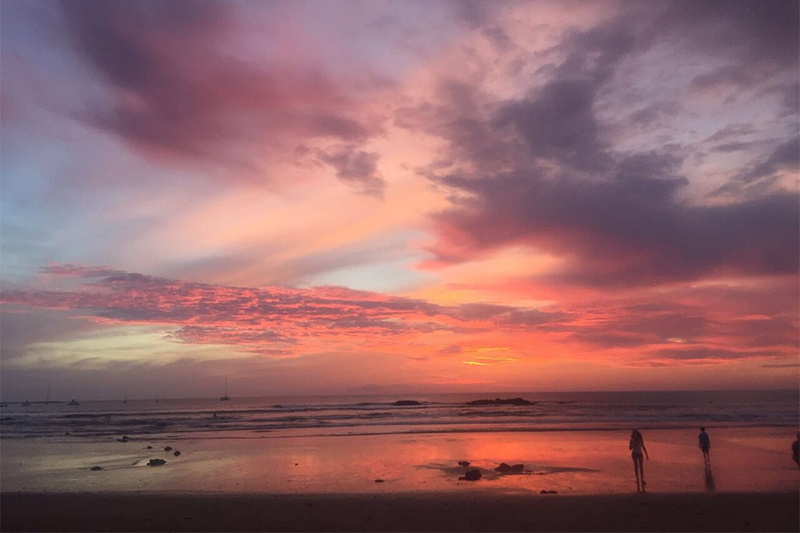 You might as well book two weeks at Casa de Luz, because if you also want to enjoy the amazing sunsets anywhere else in town, one week won’t be enough. 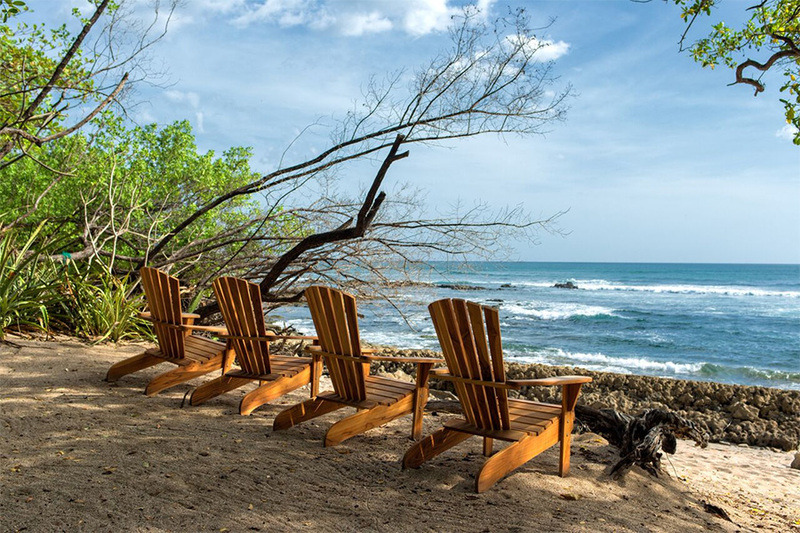 And you’ll want to enjoy one of the best beaches in Costa Rica for as long as possible.